Barbara Garro wrote her first poem at 14 and Sister Angelita’s critique stopped her poetry until age 40 when the grief from her mother’s sudden death poured out into a poem. The poem was published in the “Maple Shade Progress,” and Garro has gone on to receive 18 poetry awards, publication in 27 poetry anthologies and her biography was included in the 2004 International Who’s Who in Poetry. 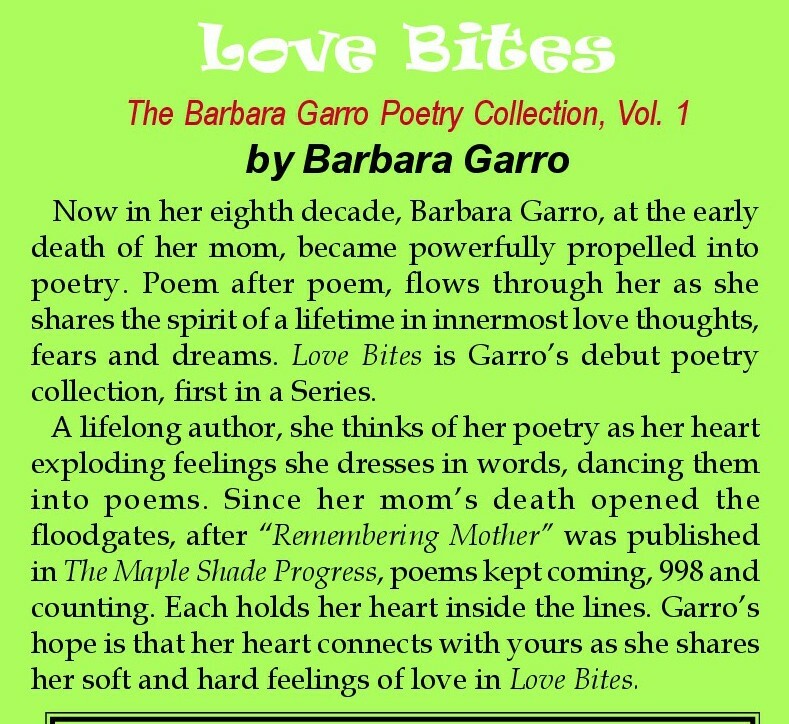 In 2016, after 33 years of writing 999 poems and counting, Cambridge Books believed in Barbara Garro and the appeal of her poetry and “Love Bites” was published in November 2016. “Love Bites” gives readers a sprint through the love life of one American woman over decades of memorable experiences. 102 Soft Love & Hard Love mostly Poetic Memoir of Barbara Garro’s memorable love experiences with all the boring parts taken out! 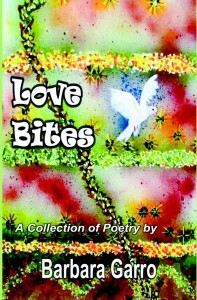 Journey through “Love Bites” and discover what works and what does not work in love relationships.